George Frederick Sampson at Latchmere House (Camp 020). Digging up information on the elusive Camp 020 interrogators is a bit tricky given that they were generally only referenced by their initials and last name (e.g. G.F. Sampson) and rarely by their first and last names (e.g. George Sampson). But, by cross-referencing the British Army Lists and the London Gazette from 1940 and 1941, we learn that Sampson's full name was George Frederick Sampson. 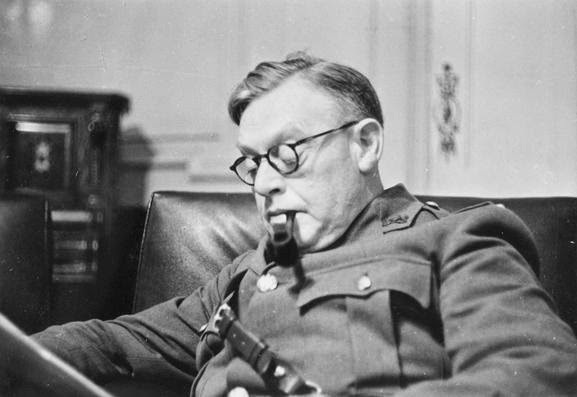 A further clue comes from Oliver Hoare's introduction to Camp 020 where he notes that by March 1946, "Sampson had left the Security Service, putting his extensive linguistic skills to use at the United Nations" (p. 4). With that key piece of information, we can begin to piece George's life together. George was born in early 1883 in Lincoln, Lincolnshire to John and Mary Ann Sampson. John was an ironstone miner and the young couple already had a son, born in 1881, named Herbert Harris Sampson. The two boys appeared to be the only surviving children of John and Mary Ann. By 1891, the family had moved from Lincoln to Stanley, just southeast of Leeds, where John became a coal miner. Herbert, and presumably George as well, attended the Wakefield Grammar School, south of Leeds. By 1901, the family had moved a tad closer to Leeds and settled in Holbeck. Both Herbert (20 years old) and George (18 years old) were employed as clerks for a corn miller. George's whereabouts between 1901 and 1909 are shrouded in mystery. His brother, Herbert, became a language teacher and traveled around the continent. We next pick up George's trail in 1909, when we find him serving as an archivist at the British Embassy in Berlin. It seems likely that George would have met a young clerk from the British Legation in Dresden named William Edward Hinchley Cooke. Neither man could know that their paths would cross again thirty years later at Camp 020. During his time at the embassy, George became quite fluent in German, a skill that would serve him well as an interrogator in Camp 020. 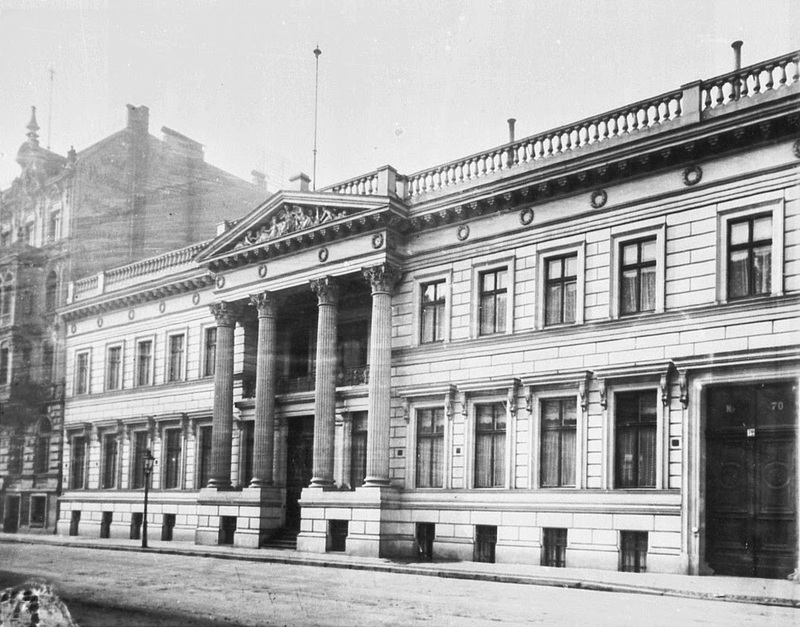 While living in Berlin, George went on leave to Stockholm on several occasions, visits which seem rather mysterious until one learns that George's future wife was Swedish. Gerda was born in Gävle, Sweden around 1882, and may have been attached to the Swedish Embassy in Berlin. The two possibly met at diplomatic soirées in Berlin and George likely traveled to Stockholm to meet Gerda's parents and ask for her hand in marriage. In 1912, George and Gerda welcomed a little girl, Margaret, into their lives. In 1914, at the outbreak of war, George and his family were expelled from Germany, along with all of the other diplomatic staff. George's activities during the war are, again, unknown. He may have been drawn into intelligence work or he may have been assigned to another diplomatic post. While his war service is a mystery, that of his brother is not. At the outbreak of the war, Herbert Harris Sampson enlisted in Wakefield and ended up joining the 2nd Battalion of the Coldstream Guards as a Private. 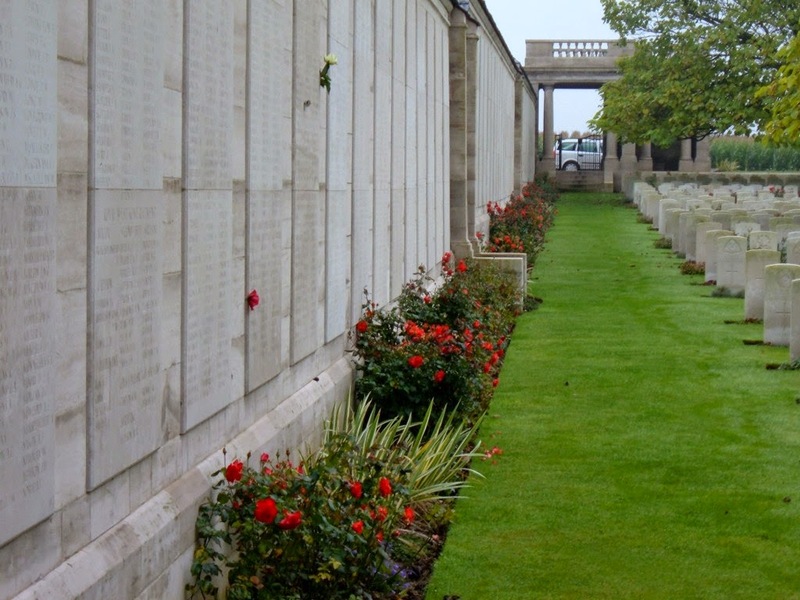 Herbert saw battle in France and was killed in action on 12 October, 1915, during the Battle of Loos. His personal effects were sent back to his father. In 1920, George was awarded the Order of the British Empire (Civil Division). At the time he was serving as Assistant Commercial Attaché for His Majesty's Legation in Stockholm, Sweden. By 1922, George was back in England, living in Hammersmith with his family. George's activities during the inter-war period are also shrouded in mystery. He surfaces again in early 1940 when he was commissioned into the British Army as a member of the Intelligence Corps. He was 57 years old. One of George's first jobs was to oversee the transformation of Latchmere House into a top-secret intelligence interrogation centre. When Latchmere House officially opened in July 1940, Lieutenant George F. Sampson became Assistant Commandant under Major R.W.G. Stephens. After the war ended, George was charged with writing a history of Camp 020 and submitted it to the Deputy Director General of MI5 before retiring from the military. He, along with several of his fellow Camp 020 interrogators, joined the League of Nations (replaced by the United Nations in 1945/46) in the Documents Service division. George's skill at languages and his background in intelligence work proved to be an asset to the fledgling organization. George was posted to the United Nations office in New York and traveled back and forth between England and the United States several times between 1946 and 1947. His wife, Gerda, and his daughter, Margaret accompanied him. Margaret had become an accomplished woman in her own right, working as an official for the BBC. On 2 December, 1948, George was involved in a fatal accident in Paris, France. He passed away at L'hôpital Boucicaut at the age of 65. George's wife inherited his effects, valued at about £7000. Twelve years later, on 28 June 1960, Gerda Sampson passed away at Bolingbroke Hospital in London. She was 78 years old and left £17,000 to her daughter.